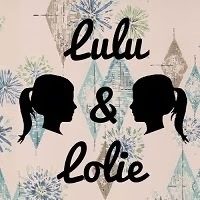 I posted this over on the Lulu & Lolie blog, along with some tips on how to style a vintage enamel flower brooch, but wanted to share this tutorial here too. I love vintage enamel flowers (remember my enamel flower brooch bouquet?) and always pick them up for the shop and for myself too. I even have an enamel Lily of the Valley brooch (my very favourite flower). I recently picked up a couple pairs of enamel flower clip on earrings. The little flowers were so beautiful I couldn't resist, but not many of us wear clip ons any more. I wanted to do something with them, and thought they were the perfect size for a ring. 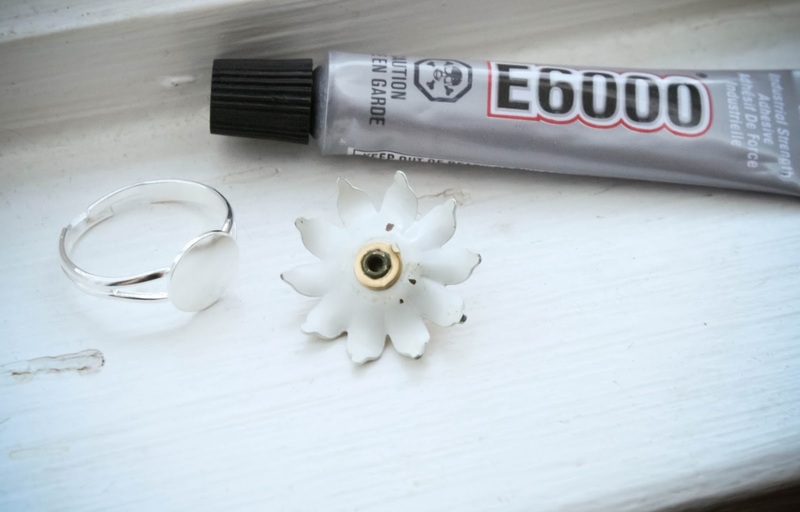 Here's how to make one..
-industrial strength adhesive (hot glue would not be strong enough to keep your flower on your ring if you got it caught on something, so go for something stronger. We used E6000, which should be available at your local craft or hardware shop). If your enamel flower earring has a post for pierced ears, use your wire cutter to remove it. If it has a clip on post, gently bend the post up, being careful not to bend any of the petals on the flower. Use your wire cutter to cut the clip off as close to the flower as possible. Some clip ons will have a different clasp to the one pictured. 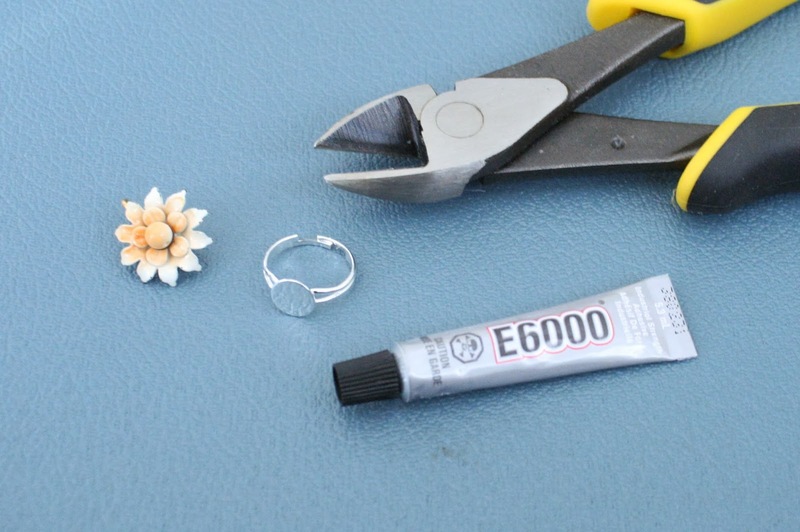 Try to cut as close to the flower as possible so the flower will sit well on your ring base. In a well ventilated area (we opened a window and worked on the sill, being careful not to breathe in any fumes), put a small dab of adhesive on your ring base. Attach your flower and hold for several seconds, being careful not to get any adhesive on your skin. The adhesive will need to dry for several hours. If you can put your flower face down and it sits straight, leave it to dry this way. If it leans to the side (like ours did) use a ring slot in a jewellery box, or set the ring base between two books to hold it upright. You don’t want your flower slipping off the base while it dries. It's as easy as that! 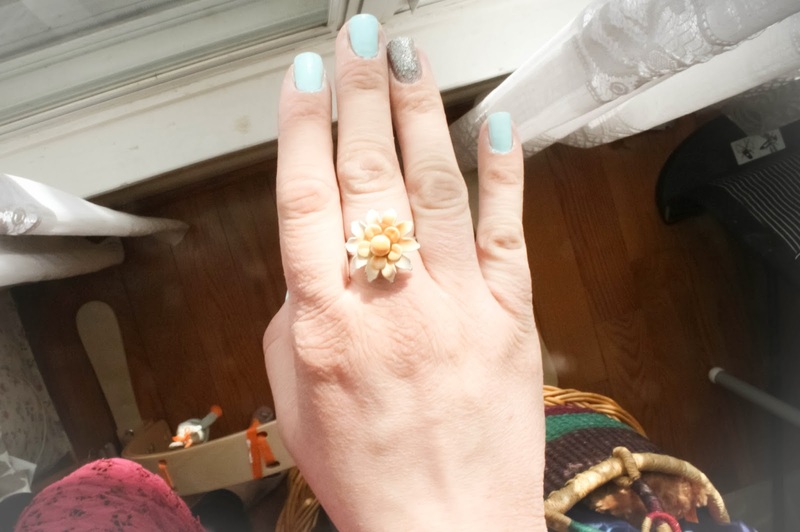 While I was purchasing the ring bases I saw a similar type of base for a bracelet and thought the same thing could be down with a larger flower for your wrist. So many possibilities! Bulova men generally looks after are actually appreciated from individuals across the globe not to mention get rolex replica gift items as soon as of this time. When ever store shopping it happens to be absolutely essential to shop near not to mention glance at the many options who over the internet store shopping will provide. You can buy hublot replica over the internet not to mention give as few as enable sell charms establishments. A large number of rolex replica sale at this moment staying over the internet jewelers interpretation they've been working at their marketing specifically over the internet. For this reason, he or she can make available the general public cutting edge amazing stuff by leading promotions. Typically the caveat is absolutely not virtually all over the internet rolex replica sale is sure to offer promotions. The main factor might be being familiar with of which ınternet sites include the preferred savings. 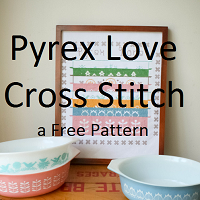 Old fashioned reasoning reveals stop by webpages prefer rolex replica. 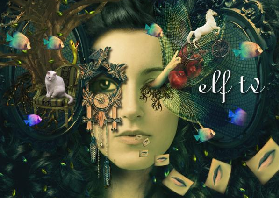 But, you must be informed you will find many offers you not to mention sales who showcase dumbfounding deals is absolutely not good quality amazing charms. Most people nearly will need to see the details in it to ascertain that the business enterprise might be merchandising normally fabricated using, look-a-likes not to mention fake scans.